It might feel far-off, but before you know it spring will be here, which means one thing: New outfits! Get ready to stock up on denim cutoffs, fringe, floppy hats, and boho-chic sundresses, that'd be perfect for a sunny weekend getaway or outdoor music fest. Luckily, Forever 21’s spring collection is chock-full of must-have pieces that’ll make you the style headliner at any gathering. This way, you and your coin purse can catch a well deserved spring break. Scroll down to shop Forever 21’s 15 most swoon-worthy spring pieces under $100. 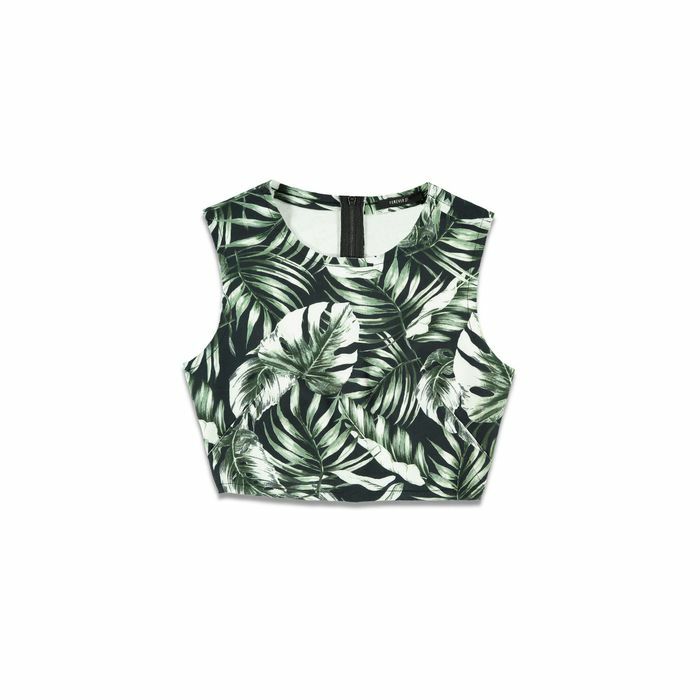 Who knew that a tropical print crop top could be so versatile? Make it a matching set (more on that below) or pair it with a simple bottom. Have a party in the evening to go to? Try a two-piece set in a fun print. What’s more, you can mix-and-match the top and bottom to create multiple looks. If you’re in need of a bathing suit cover-up, this crop top is the perfect solution. Pair it with cute cut-offs and a pair of slip on sandals. You can never have too many pairs of shorts. Wear them with a crop top, bathing suit, or embroidered blouse—the combinations are endless. Sleek, chic, and perfect for dancing the night away. To complete the look, wear a denim jacket or vest over it. Have that perfect pair of high-waisted bottoms? Wear this denim crop top, platform sandals, and a hat and you’ve got yourself an Instagram-ready look. When you’re travelling, the goal is to look cute and be comfortable, and these denim joggers help you do just that. This suede fringe jacket is both the epitome of festival style and on-trend with spring’s ‘70s craze. Dresses are a no-brainer during the warmer months, and this one’s simple cut, lightweight material, and fun pattern make it equal parts ‘70s- and desert-chic. When in doubt, wear stripes! This tank can be dressed down during the day or styled-up for an evening bash. These pants will go with just about anything. Effortless and airy, this embroidered crochet vest is the perfect boho-inspired piece to top off any look. Minimal and chic, style this denim jumpsuit with oversized sunglasses and sandals for the ultimate spring look. Enjoy some fringe benefits (another major trend for spring) with this crochet crop top. Switch from jean shorts to something more lightweight with these tapestry bottoms. Not only are they comfy, but you’ll also stand out in a sea of denim. What items are on your spring wish list? Tell us in the comments below!